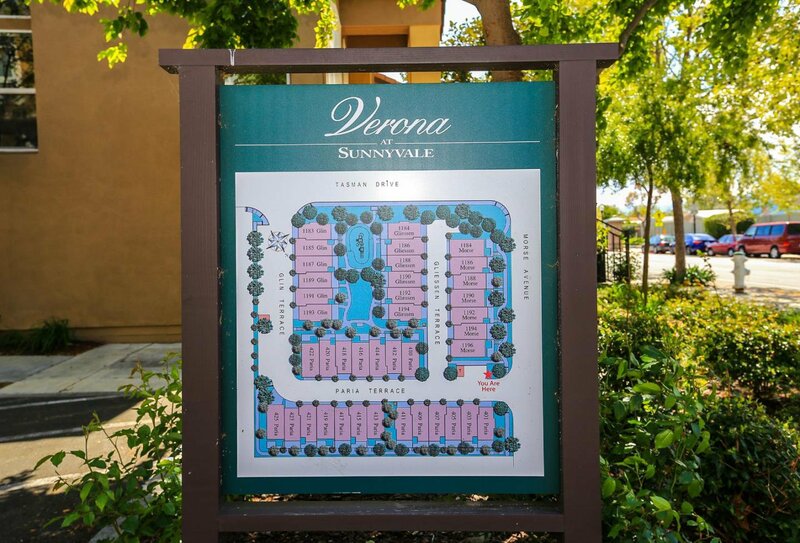 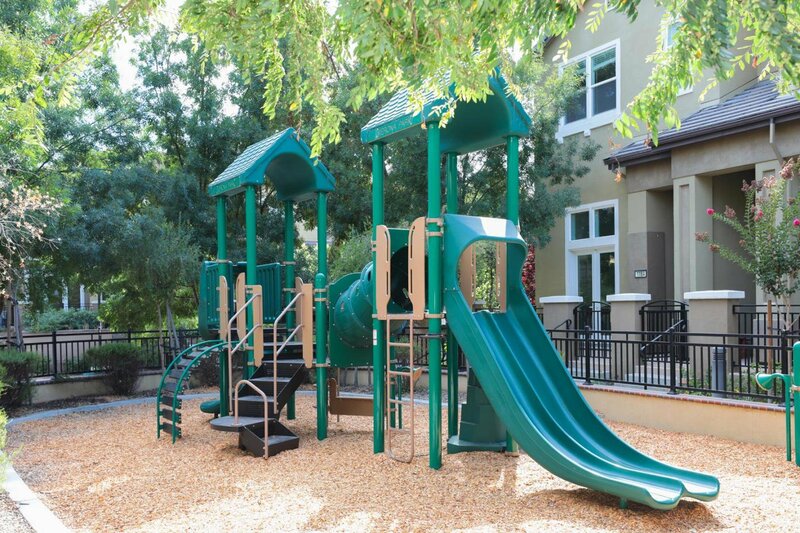 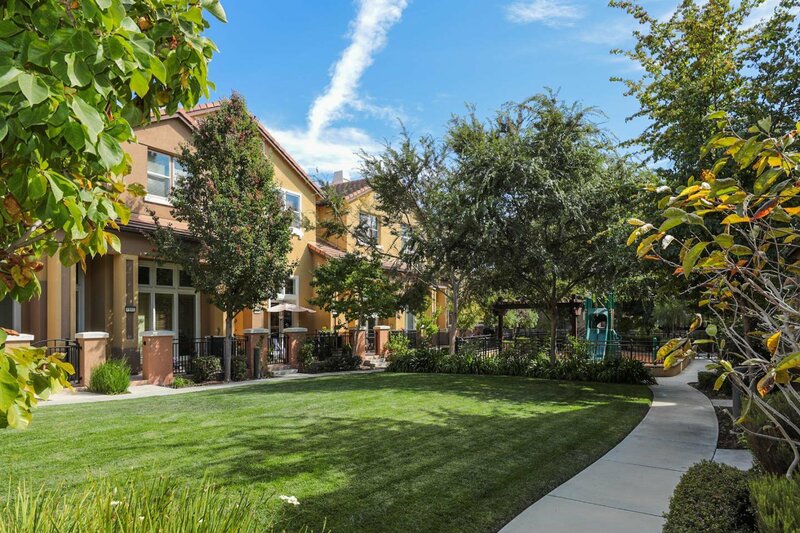 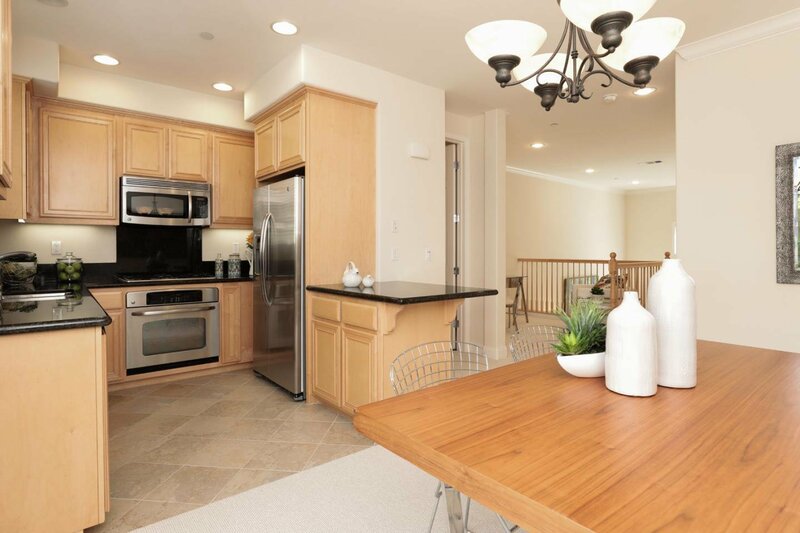 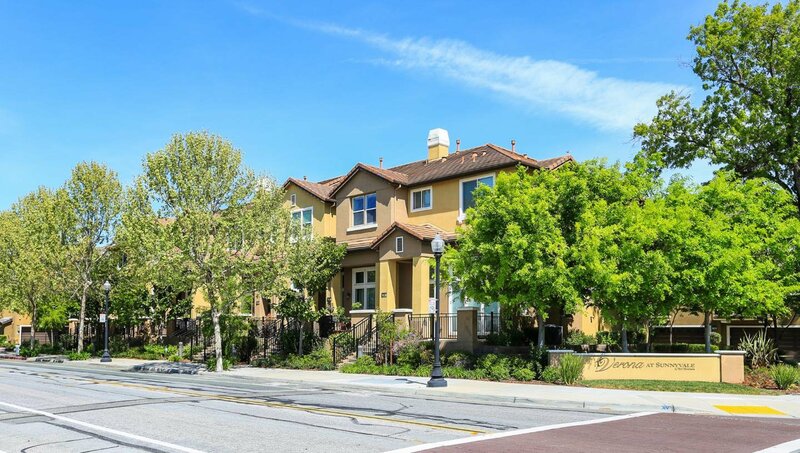 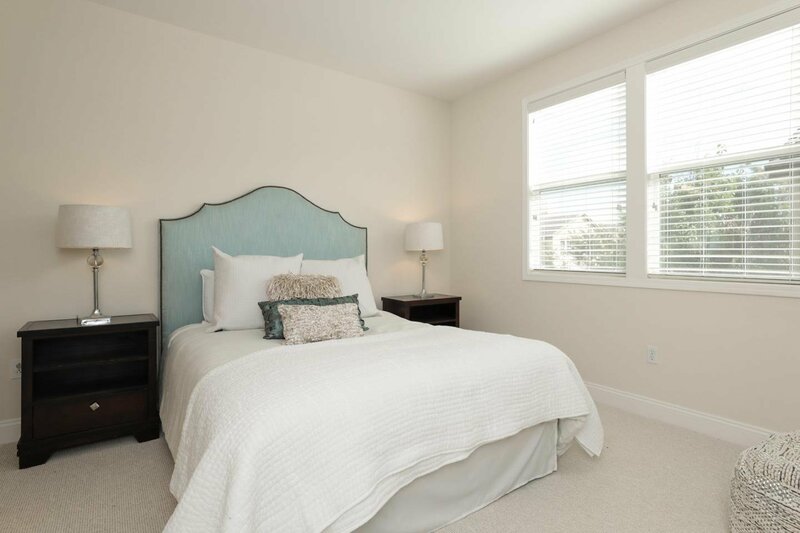 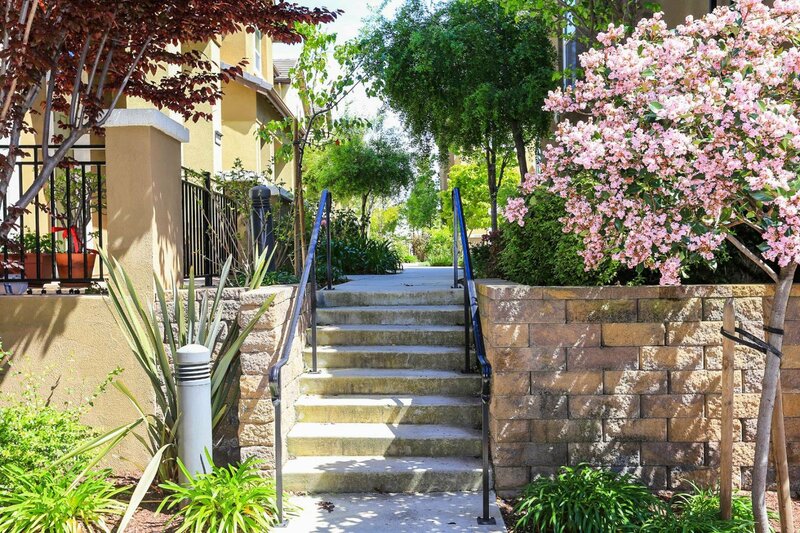 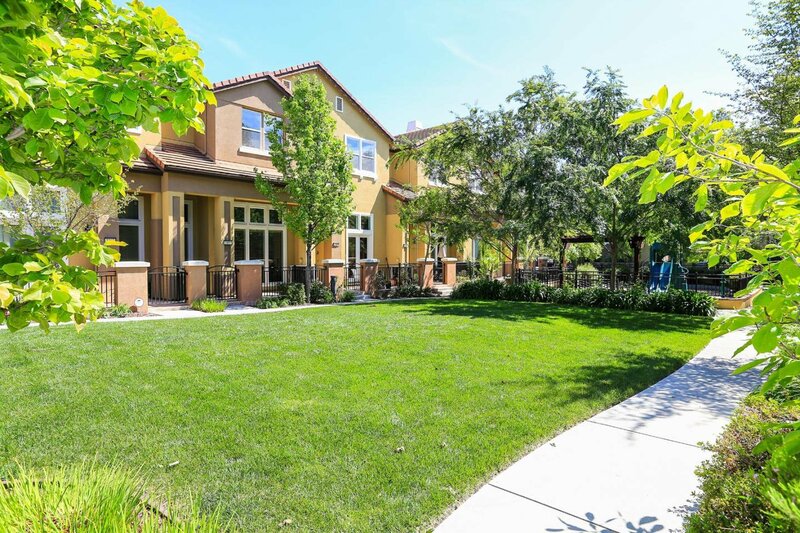 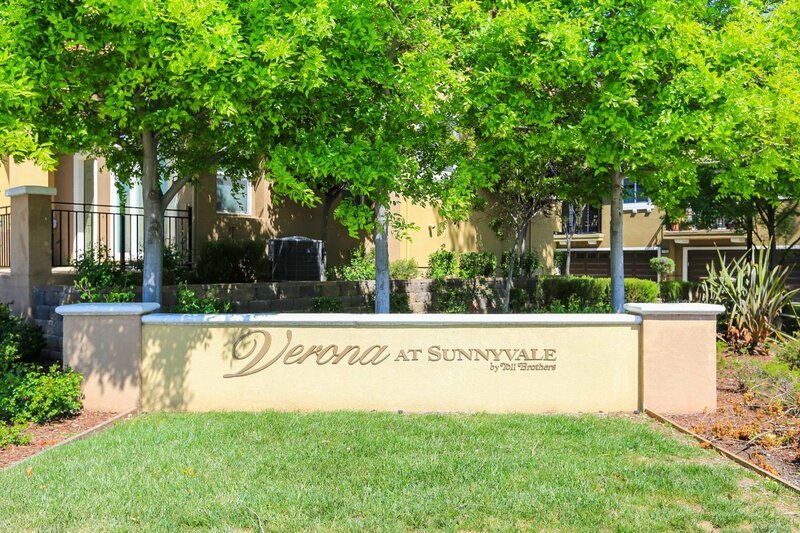 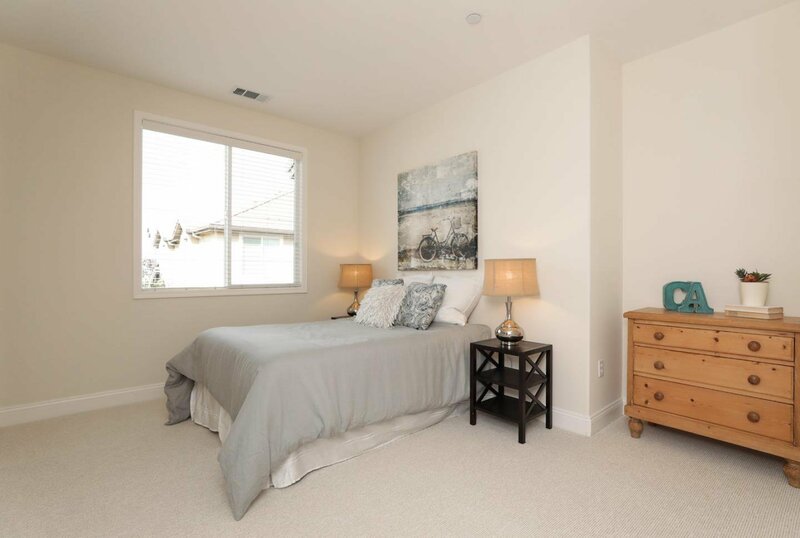 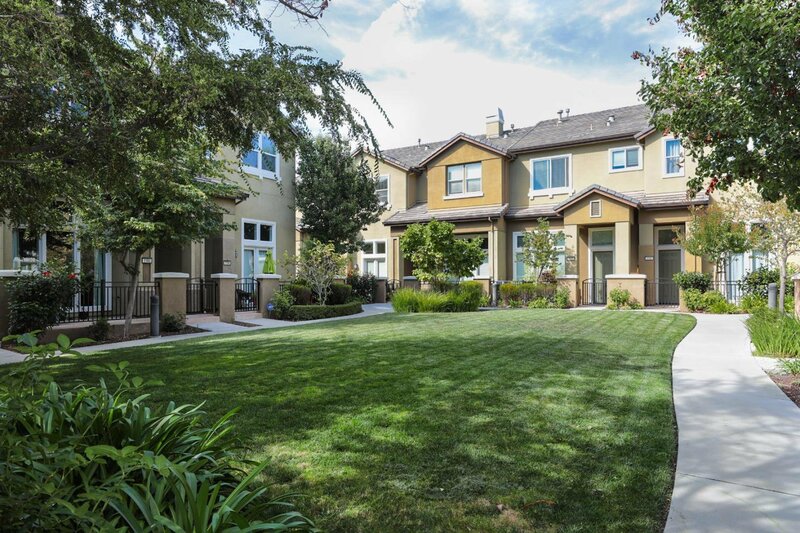 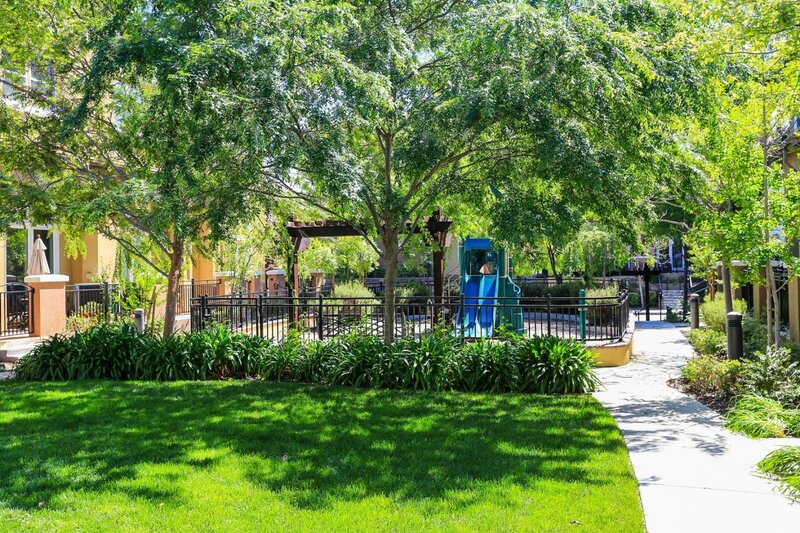 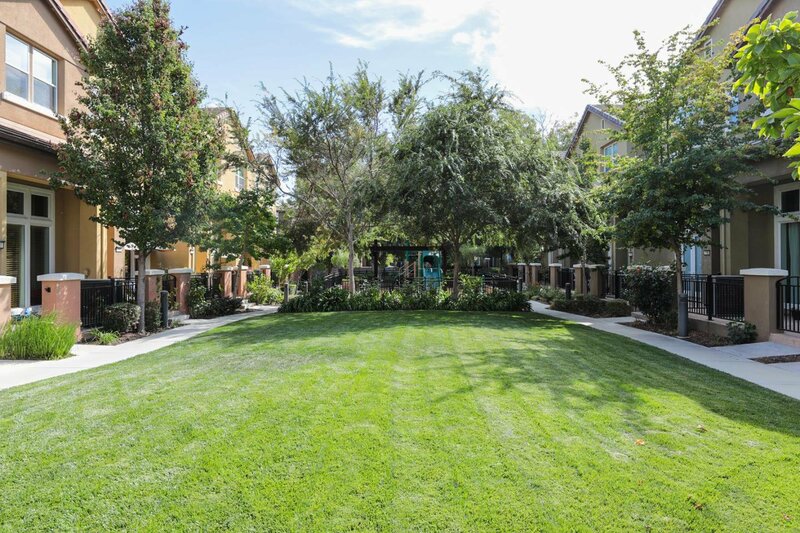 Welcome to the best of The Verona at Sunnyvale Community! 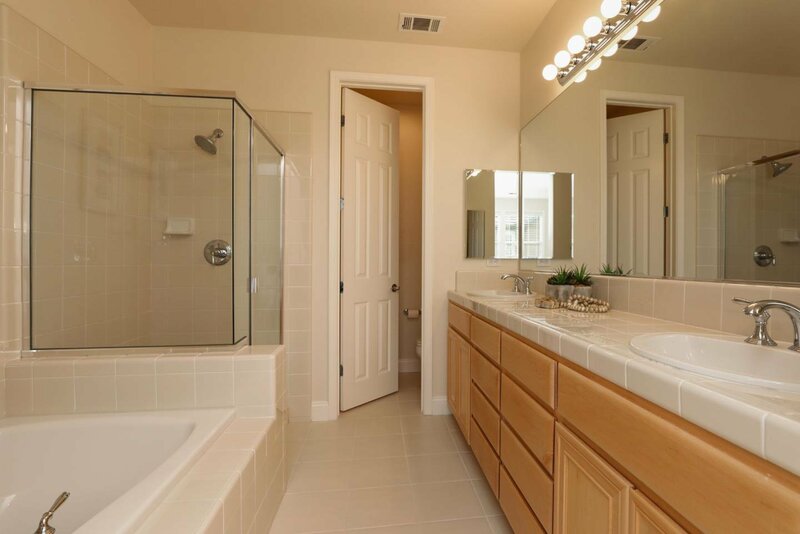 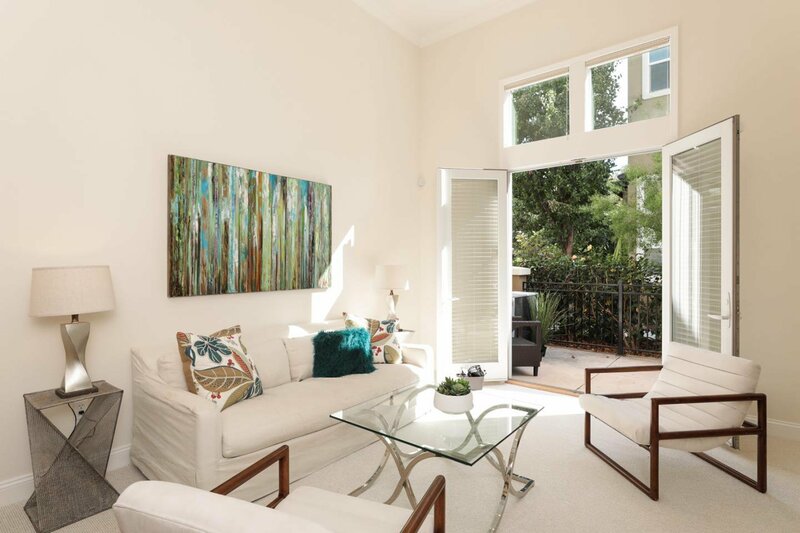 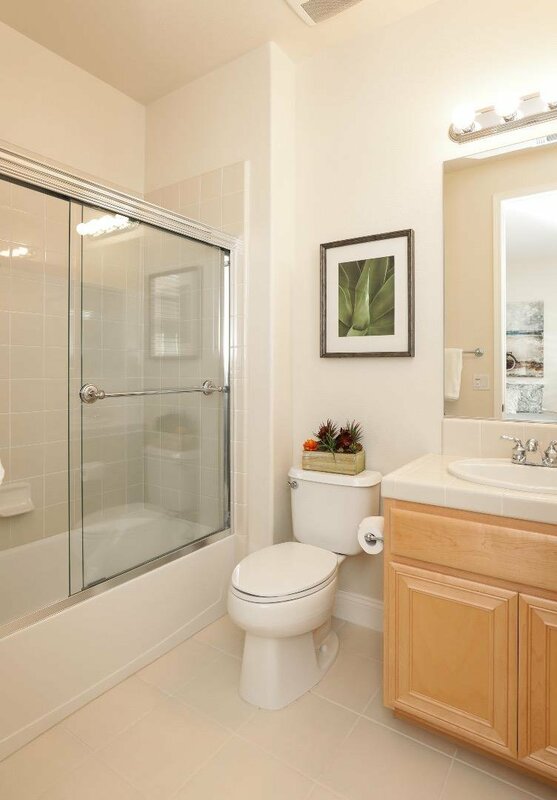 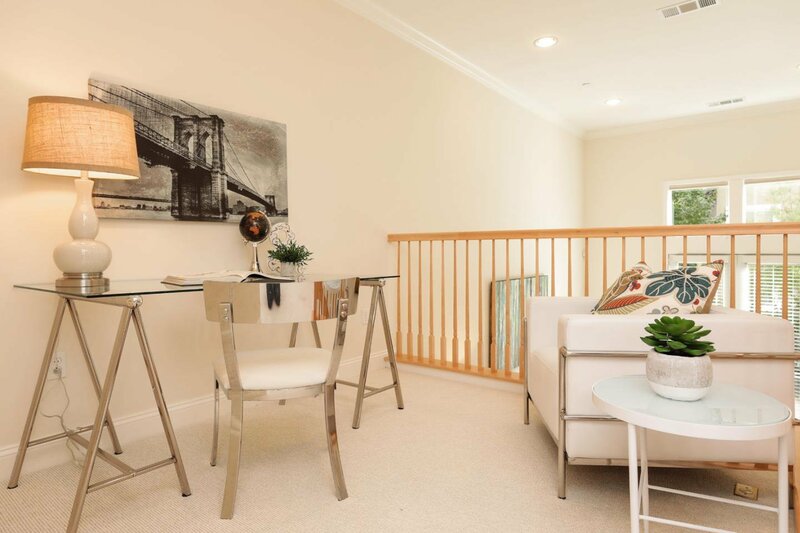 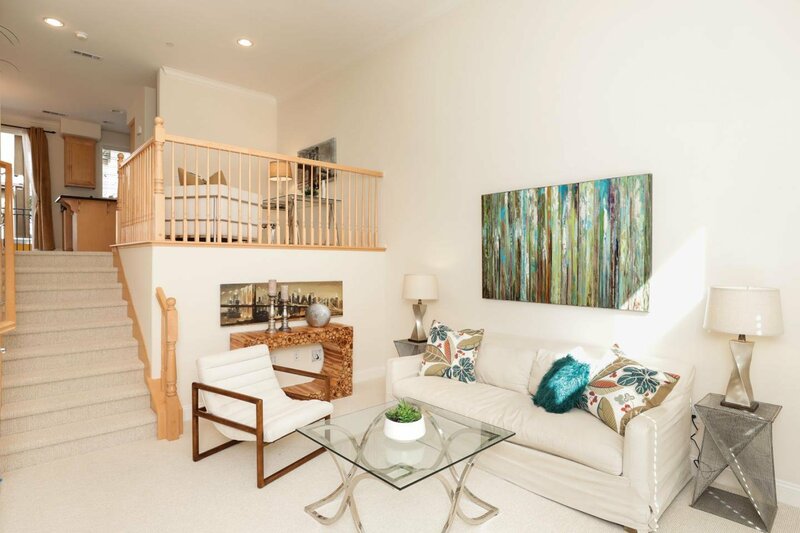 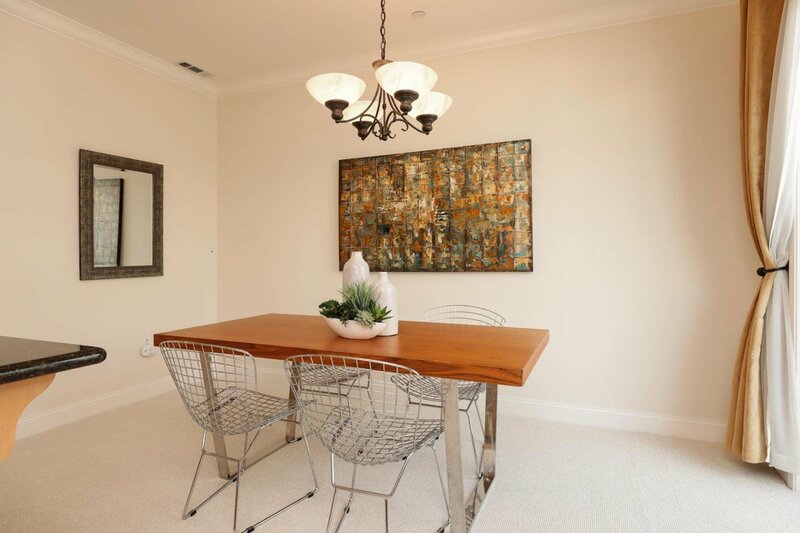 This contemporary 2 bed/2 Â½ bath townhome exemplifies pride of ownership. 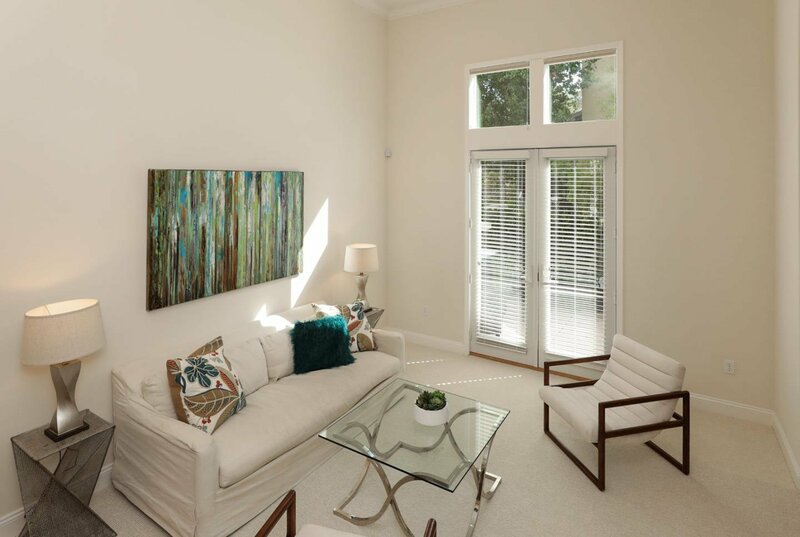 The living room sets the tone, with soaring ceilings and ample natural light. 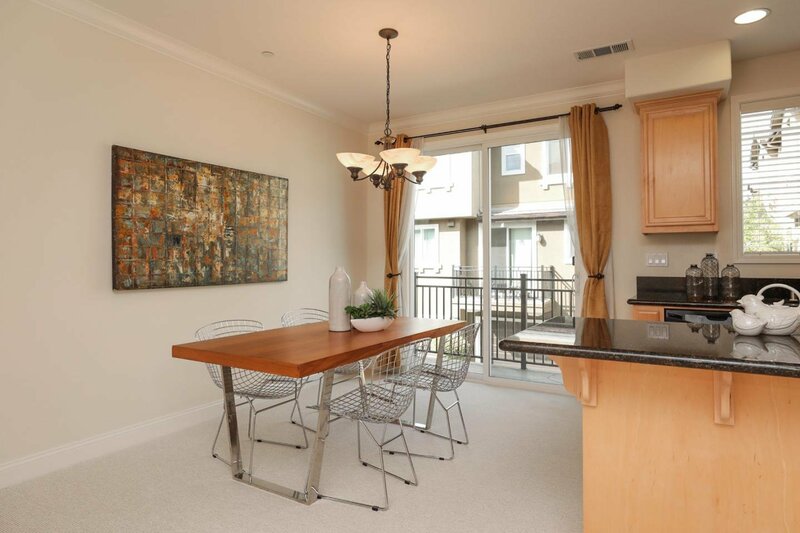 French doors lead to the patio, perfect for al fresco entertaining. 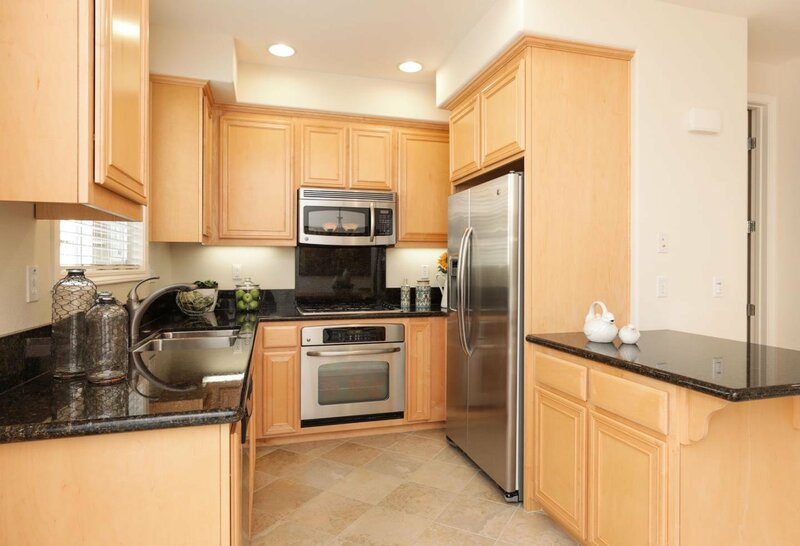 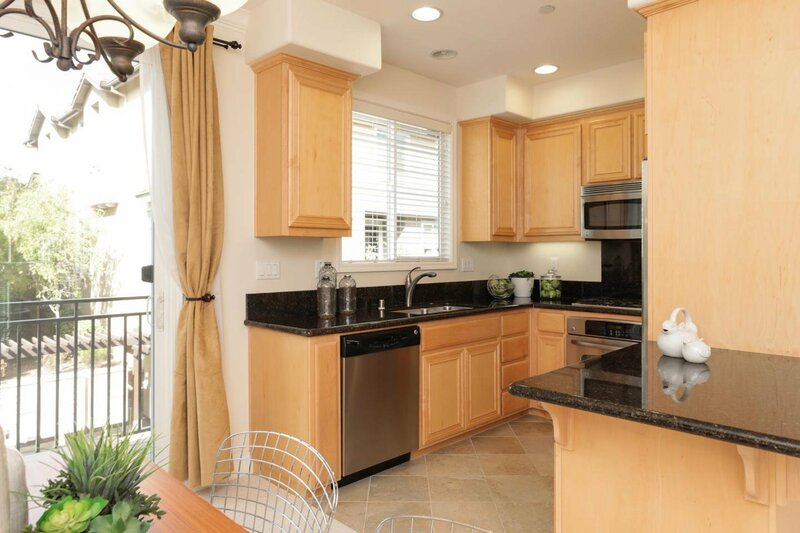 The kitchen features granite counters and stainless appliances, and the dining area opens to a rear balcony. 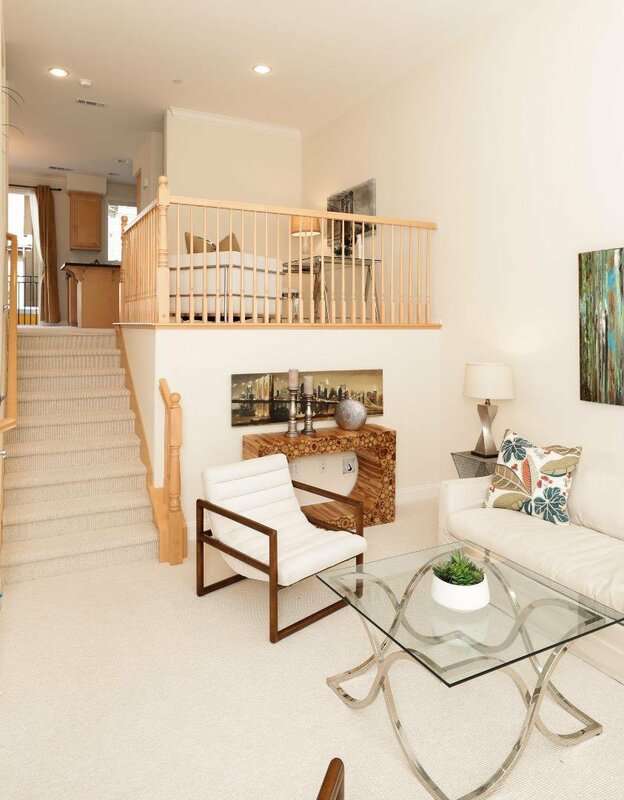 On the same level, a separate office/loft area provides additional flexible space. 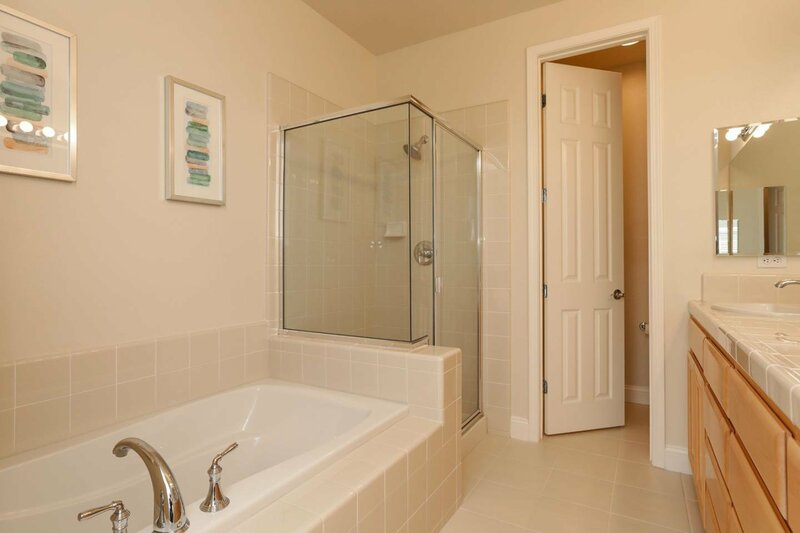 The master suite is spacious and bright with a generous bathroom that boasts a soaking tub, large glass-enclosed shower, and dual sinks. 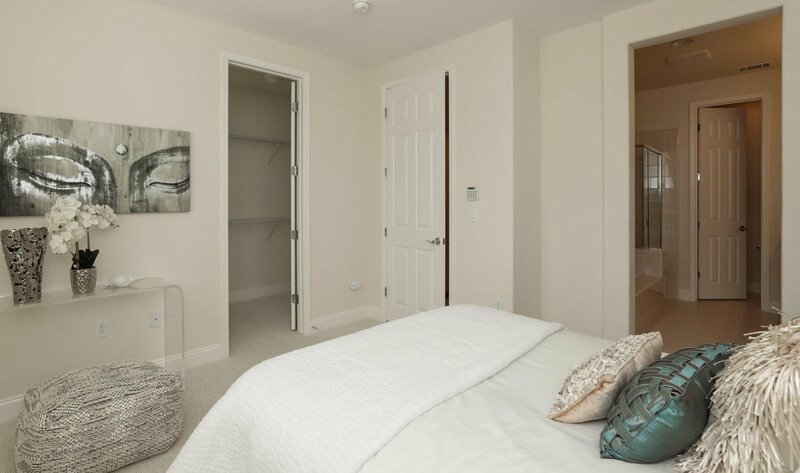 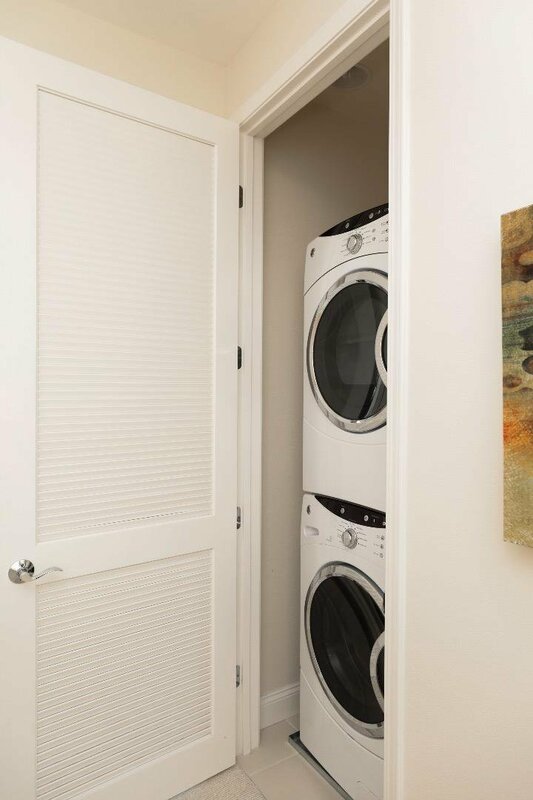 The second bedroom has ample closet space and full bath. 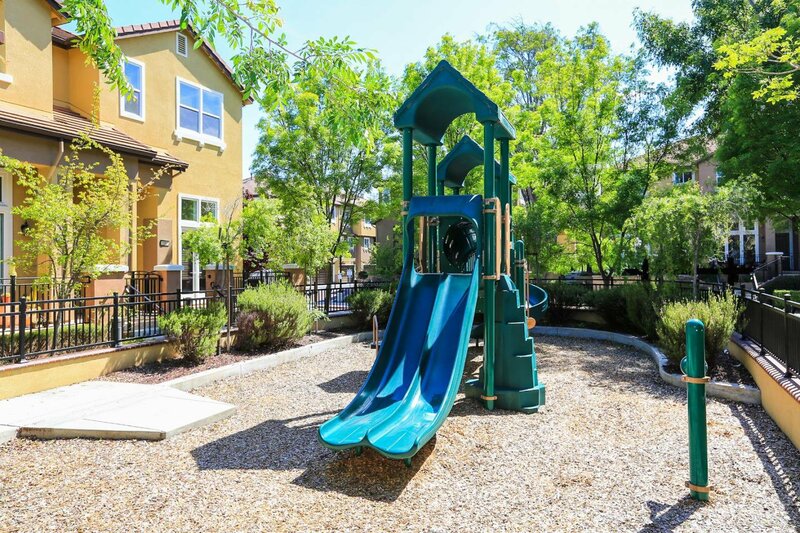 An attached, two car side-by-side garage with additional storage is an added bonus, and the green belt proximity and play structure combine to make this the perfect home for a couple or young family. 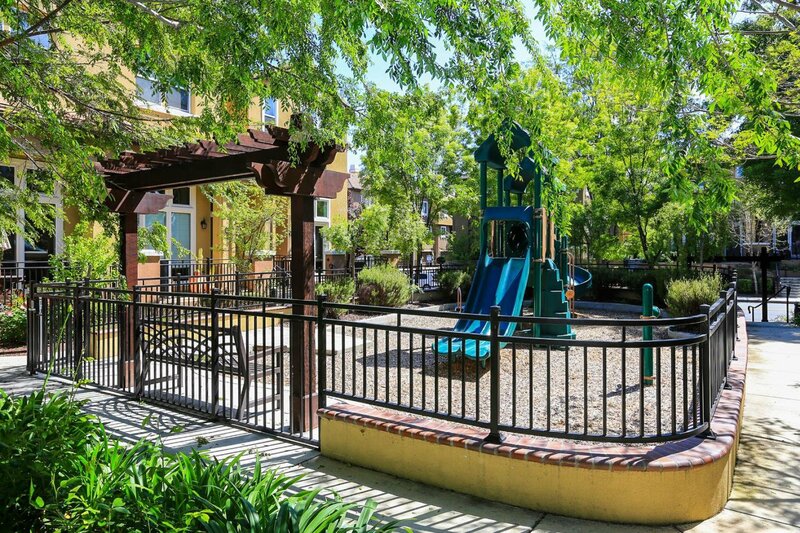 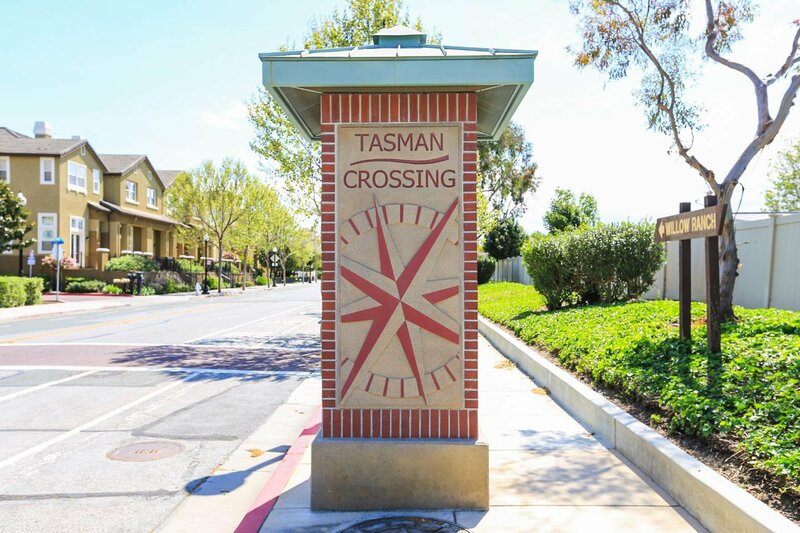 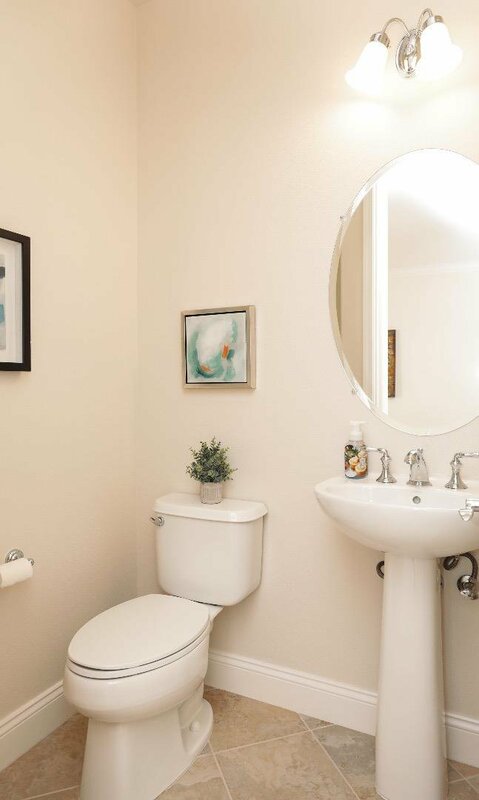 Nearby tech hubs, freeways, and public transportation make this an ideal location.